Two South West based companies have been fined after a 44-year old woman was struck by scaffolding. Weymouth Magistrates’ Court heard how employees of Carter Training Ltd were using a mobile crane on the building project in Queen Mothers Square, Poundbury, Dorchester when the attachment holding 500 scaffolding fittings weighing 2kg each was turned on its side emptying all contents onto workers and the concrete flooring 10.5 metres below. The worker suffered two fractures to her left shoulder blade, a fracture to her left collar bone, a cut to the back of her head and bruising. An investigation by the Health and Safety Executive (HSE) found the stillage attachment used on the crane was not suitable for lifting heavy and large amounts of scaffolding. 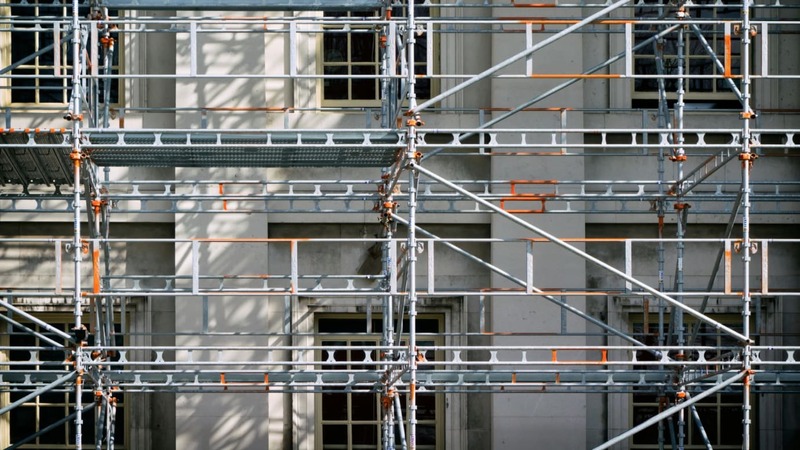 Lifting the scaffolding directly above a number of contractors working below also put them at risk of harm. It was also found that principal contractor Zero C Holdings failed to carry out an audit of all lifting plans and as a result failed to manage the risks associated with this lifting activity. Zero C Holdings did not have clear lines of communication between the lifting company Carter Training Ltd and contractors working on the site below. "The worker is very lucky that her injuries were not life threatening"
Zero C Holdings Limited of Armitage House, Poundbury, Dorchester has pleaded guilty to breaching Regulation 13 (1) of the Construction (Design and Management) Regulations 2015 and has been fined £145,000 and ordered to pay costs of £3500. Carter Training (services) Ltd of Budleigh Hill, East Budleigh, Devon has pleaded guilty to breaching Regulation 8 (1) Lifting Operations and Lifting Equipment Regulations 1998, and has been fined £18,000 and ordered to pay costs of £3500. Speaking after the hearing HSE inspector Nicole Buchanan said: “The worker is very lucky that her injuries were not life threatening. Both Zero C Holdings and Carter Training put a number of workers at risk of harm when they failed to plan or identify the risks of heavy lifting.